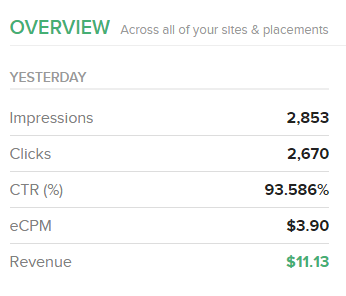 I have daily 1400-1700 Clicks and earnings up to $4...what is wrong....Any One have this type experience? here is the link - Best PopUp ADS right now! can you please say which ad format/ad type you are using ? which ad type report is this above one?